I have been using Beardpilot ‘City Slicker’ Beard Balm, I have previously tested their ‘Connoisseur’ Beard Balm but not only is this balm different scent, it’s also a strong hold balm! My beard has the tendency to be very messy and sticks out and so I was intrigued to find out if this balm could tame that mess, the short answer is yes. As I have said about Beardpilot products before, the branding is perfect, it’s actually beautiful and I love just seeing the products in my draw. The product inside holds its own against the branding and this combination puts Beardpilot high up in my top 5! ‘City Slicker’ contains Coca butter, Coconut oil, Beeswax, Shea butter, Argan oil, Jojoba oil and Sweet Almond oil, it then gets its aroma from Cedarwood oil, Peppermint oil and Ginger oil. The essential oils have been balanced perfectly, the scent doesn’t jump up and smack you in the face, it’s a noticeable but gentle scent that has a fresh minty aroma with a slightly earthiness and the ginger is very subtle. The balm gave my beard extra hold but without making it too firm, I don’t know for sure but I expect the extra hold is gained by adding more beeswax and the option of having different grades of hold in balm will prove to be very popular. It also left my beard feeling soft and looking good, so good that I had to post a beard selfie! 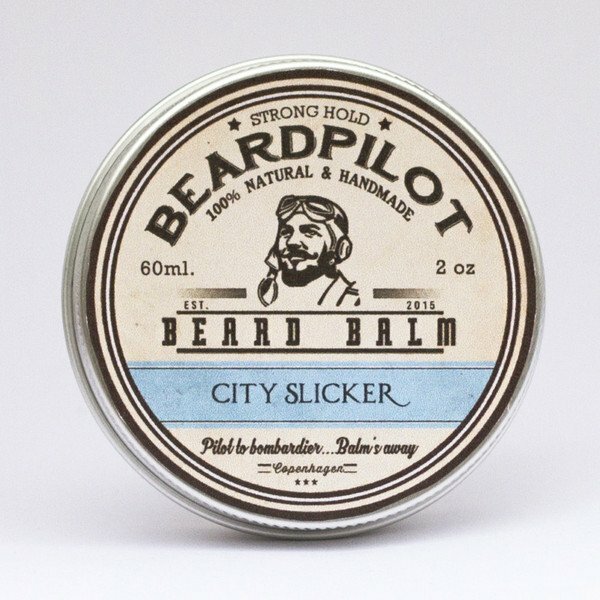 ‘City Slicker’ Beard balm comes in a 60ml/2oz tin and is available from the Beardpilot website for 249kr (Danish) which is roughly £25.86 at today’s exchange rate.